Is Compression Gear Really Effective? They look cool, come in a variety of fashionable colors and patterns, keep you warm at that in-between temperature, are easily discarded should you get too warm (and are not half as expensive as a technical shirt), and are trademarks for athletes including Allen Iverson and Paula Radcliffe. Compression garments are one of the latest trends to hit the performance gear shelves. As with most trends that come and go in sports, it takes a while for the science to catch up with the practice. 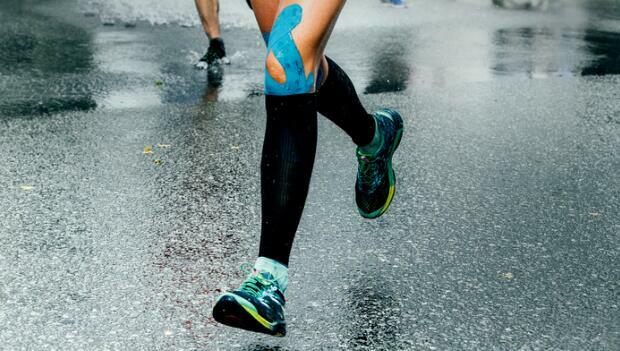 About five years ago, when compression gear first became popular as a potential ergogenic aid, there were very few published reports regarding their efficacy. Maria L. Urso, PhD, FACSM, is a research scientist in the Military Performance Division at the United States Army Research Institute of Environmental Medicine (USARIEM) in Natick, MA. She is also an avid marathoner and competes on the Women's All Army Marathon Team. Urso is an advocate for listening to your body and training smart. Fitness should be for life, not for a single event.